Emperor Zhou’s desire for the Goddess Nu Wa was considered an obsession, perhaps even madness. She sent signs and missives to reject him, but Zhou would not be dissuaded. At night, he slipped into her temple and scrawled poetry across the walls espousing his undying love. This defilement cold not go unanswered. 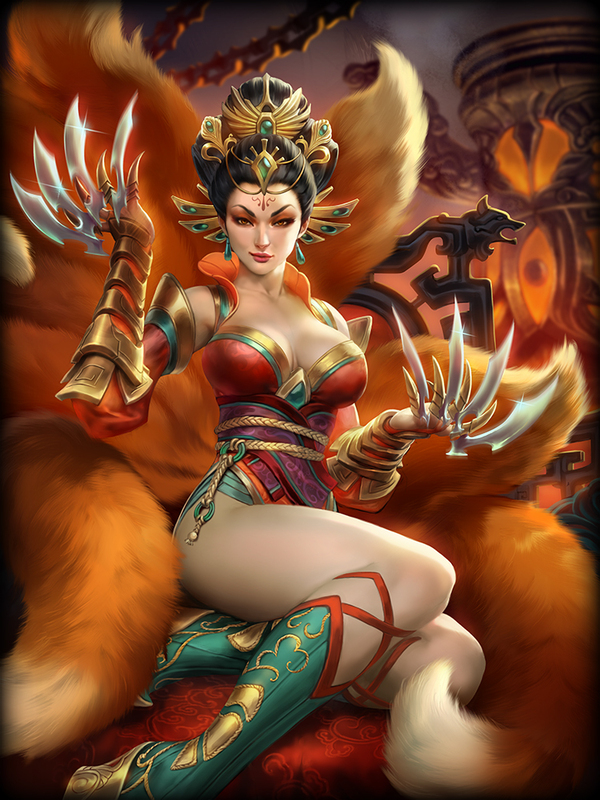 Nu Wa summoned the most conniving and wicked Fox Spirit she could and thrust it upon the Emperor with intent to spiral his life into misery. 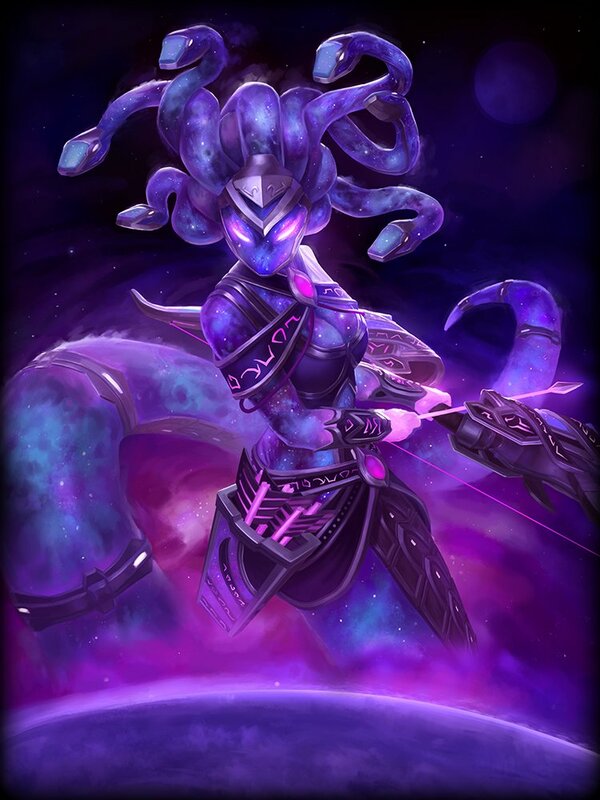 Little did Nu Wa know what she had just unleashed. For thousands of years, the nine-tailed Fox spirit had lived, biding its time, honing its malicious appetites. Finally, in human form, it assumed the irresistible guise of Da Ji, and to the Emperor Zhou, she could do no wrong. With free reign of the Empire and its people, Da Ji reveled in torture and malice. She took delight in their screams of pain as she danced to playful music composed at her command, the musicians trembling every note. So grievous did these atrocities grow that the people rose up and overthrew their ruler. They stormed the gates, toppled the throne, and pursued Zhou to his bed chamber, where the crazed emperor finally took his own life. Yet, Da Ji managed to escape and conceal herself. Now she joins the fray, not to save the universe, not empower her pantheon, but instead to soak up every last cry of anguish from her enemies. 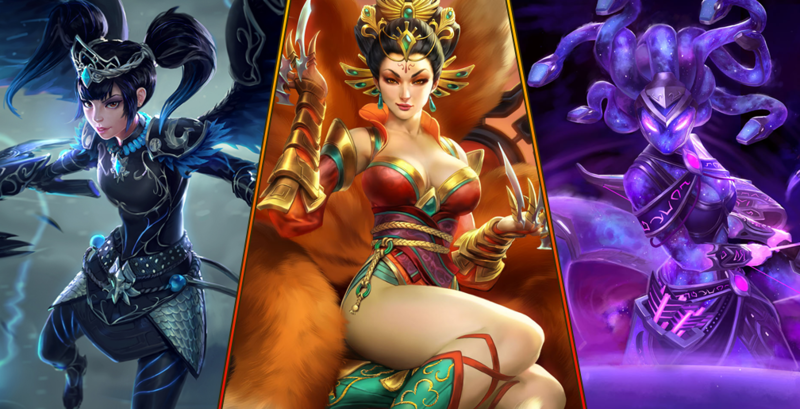 Da Ji’s sharp claws cause her enemies to Bleed when struck by her Basic Attacks. Bleed Damage causes the enemy to take Damage every 1s for 2s and can stack any number of times on the same target. Da Ji heats up her claws, causing her next successfully hit Basic Attack to Burn the target, dealing instant Bonus Damage and additional Damage every 1s for 3s. Da Ji lashes out with her claws at nearby enemies. Executing 4 strikes over 2s that hit all enemies in range. These hits apply the Bleed from Torture Blades. While this ability is channeling, Da Ji gains increased Movement Speed, immunity to Slows, and her tails mitigate Damage dealt to her by enemies who are behind her. Da Ji selects a single allied or enemy target and Teleports to their location. Upon arriving at the target, she lashes out with her claws, dealing Damage and applying the Bleed from Torture Blades to all enemies around her. Da Ji summons her signature torture device, the Pao Lao. As she hovers above the device, she gets 3 shots to fire chains at enemies below. Enemy gods hit by the shots take Damage, become Chained, and become Slowed. At the end of her ability, Chained enemies are Pulled to the Pao Loa, becoming Stunned and then taking additional Damage of 3 ticks over 2s. If a god hit by this Ability becomes CC immune at any time, they break the Chain on them. Players can no longer vote to unpause during a Ranked Pause until 3 seconds have passed. Fixed an issue on the “Standings” tab in the Season Ticket where overall records for teams during an event would be listed as “0 – 0”. Last Patch we talked about some changes we wanted to make toward Player Experience to reduce the feeling of snowball in Conquest. For most of our playerbase, these snowball concerns are not an issue. We have many metrics to evaluate the amount of snowball present in SMITE and they all point to an overall less snowbally game than Season 3. 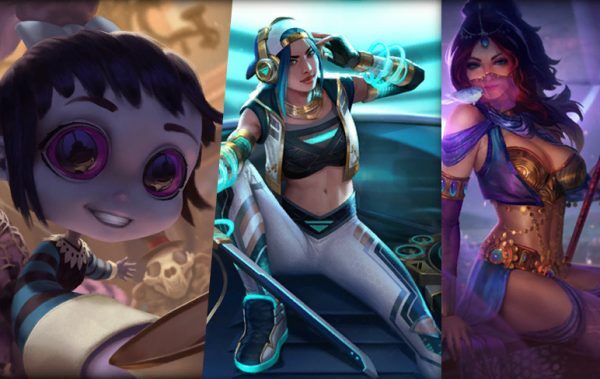 Game times have slightly increased, late game Gods like Artemis, Kali, Xbalanque perform very well (they only begin to drop when looking at Diamond and Masters level games), and we don’t see an increase in Early Surrender votes. We have, however, seen the feedback and the results from the Masters LAN and want to make some adjustments aimed at further reducing snowball potential. The changes we are making are very targeted with specific results in mind. Reducing the amount of XP needed to hit Level 2 targets the early game and makes sure players have more options to keep the levels within the same range as the enemies. Since the XP values return to normal by Level 4, we will have to see very specific results about the early game due to these changes. 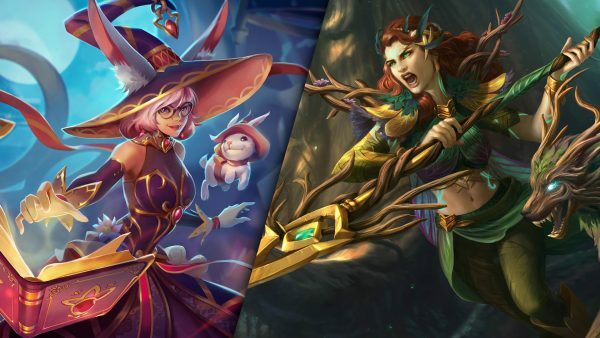 The Gold Fury and Portal Demon nerfs are targeted changes towards the mid and late game. These objectives will give the winning team and smaller incremental lead, giving the team that is behind more opportunity to fight. These changes are focused on reducing a winning team’s ability to gain large leads too quickly, and instead, forces teams to gain incremental leads that will eventually push them to victory. We also wanted to take some time to address some other concerns and suggestions brought up from the 4.8 PTS phase. Why not just nerf the Small Ogres? To nerf the Small Ogres enough to prevent level 2 from the pushing team, we would need to reduce the Experience of these by a large amount. Doing this will have a large impact on the entire course of the game as it changes the total amount of experience in the Jungle. If we attempted to offset this loss by adding it to new locations, the reach of the change becomes more unpredictable and risky. If a problem arises, it will be difficult to understand where and when a significant shift occurs. Why not make Minion waves hit at the same time? This was an additional concern that was presented as a possible fix for the invade pressure of minis. 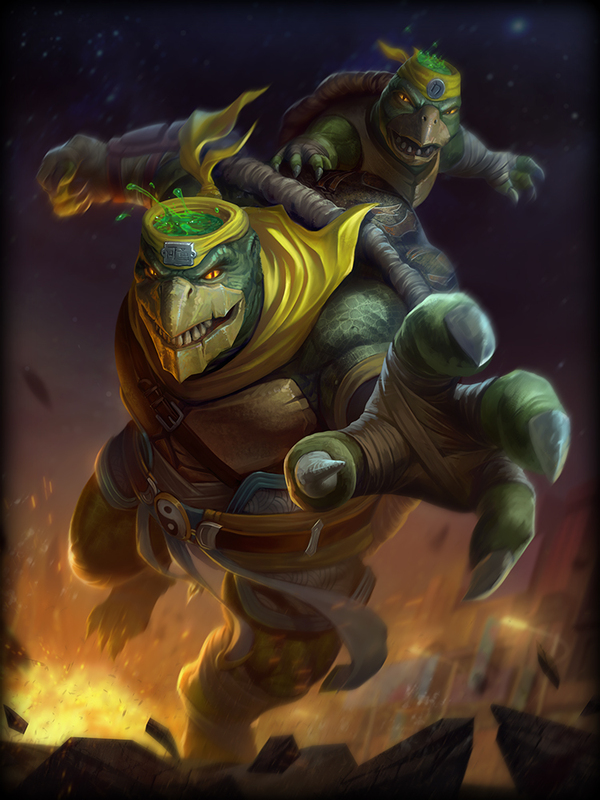 Where a Jungler can go is often dictated by minions hitting the Mid Lane first, limiting their ability to respond to high push lanes elsewhere. We want to make adjustments to Minion speed and timing but we want to test these changes more to ensure we don’t break a core mechanic. 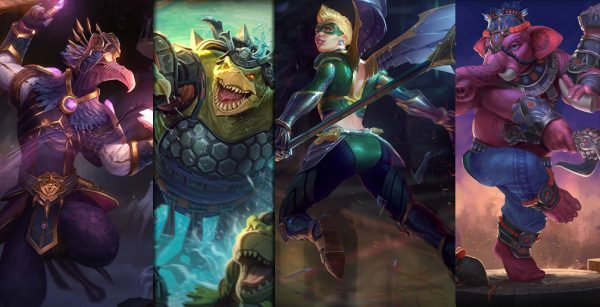 Mid Season is approaching and we are already working on what will be going into that patch. 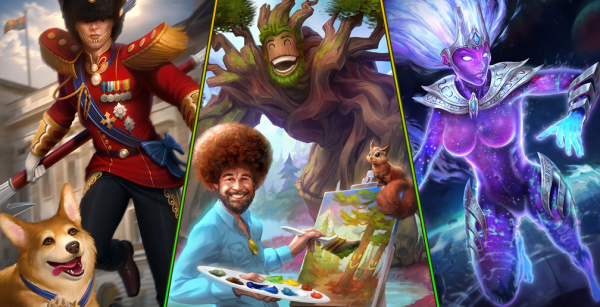 As we move towards Mid Season we will be watching closely of how these changes perform and will keep both of these suggestions in mind as potential future changes. We want to see how the meta evolves from here before making any final decisions. We enabled spectator on PTS to allow for teams and coaches to really dive into these changes for the upcoming SPL Split. We look forward to the feedback and we will be closely watching the impact of these changes as we move forward. Decreased the amount of Experience needed to go from Level 1 to Level 2 from 308 → 225. Increased the amount of Experience needed to go from Level 2 to Level 3 from 363 → 430. Increased the amount of Experience needed to go from Level 3 to Level 4 from 418 → 434. Increased Base Health from 2250 → 2550. Decreased Base Gold Worth from 190g → 150g. Decrease Gold given from 150g → 100g. Mark of the Vanguard gives a huge amount of defense during the early laning phase. This can make effectively trading against someone with this item ineffective and limits more aggressive options (like Bluestone). We are reducing the Flat Damage Reduction to allow for better trades between MotV and more Offensive options. Reduced Passive Flat Damage Reduction from 5 → 4. Chronos Pendant is a luxury Cooldown Reduction Item that lets players push past the CDR cap in a unique way. Initially, we were hesitant about the potential strength of this Item, but as players have found their favorite items from Season 4, Chronos Pendant is passed by. We are increasing the Magical Power provided by this Item to better represent its price. Increased Magical Power from 60 → 80. The jump from Glowing Emerald to Emerald Mail amounted to an additional 100 Health for 650 Gold. This made building into items branching off Emerald Mail difficult, as the cost didn’t justify the stats. We are increasing the stats to help players build into this tree. Increased Health from 200 → 250. Gauntlet of Thebes has become the new go-to Aura item. Unlike its counterparts (Sovereignty and Heartward Amulet), it provides both types of protections with a high health pool. This made it effective in most situations for a single item’s cost. We are reducing the Health on Gauntlet of Thebes slightly to bring it more into line with its Aura peers. Reduced Health from 400 → 350. Fixed many Slows not causing the Passive to be applied. Stone of Fal is a great counter item for dealing with high burst, but at 2900 Gold, it became difficult to purchase even when it was going to get maximum value. We are reducing the cost slightly to make this a more attractive option. Reduced Cost from 2800g → 2700g. Fixed many Banishes and Slows not causing the Passive to be applied. Similar to Emerald Mail, upgrading from Katana to Thousand Fold Blade was a decent investment for minimal stats. We are bringing the Physical Power up by 5 to make building into this tree easier. Increased Physical Power from 15 → 20. Shifter’s Shield shifts from being offensive at high Health to being defensive at low Health. We want to highlight this aspect of the item, while also giving it a bump in overall Power. 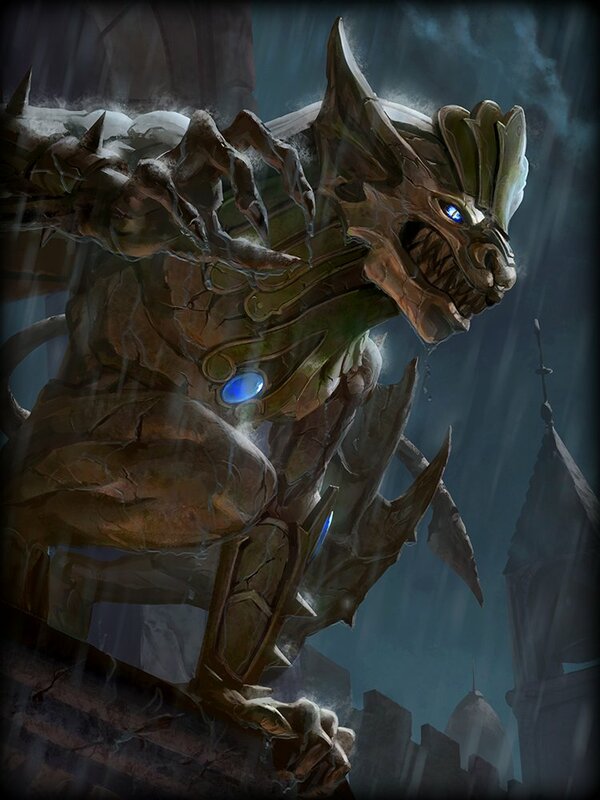 The Power and Protections have been lowered on the base item, but the Passive has seen a large increase stats. This will make it less defensive when it is providing more offense and visa-versa. Reduced Power from 40 → 35. Increased Passive Bonus Physical Power from 20 → 35. Reduced Physical Protection from 20 → 15. Reduced Magical Protection from 20 → 15. Increased Passive Bonus Protections from 20 → 35. The damage dealt by Cernunnos over the course of a game was higher than his Hunter peers. Bramble Blast and Summer Heat are a large source of this damage. Bramble Blast is seeing a Cooldown increase, reducing how often this Ability can deal Damage or be used for control. Summer Heat provided too much additional Damage as Cernunnos ramped up his item build. We have decreased the Physical Power scaling on Summer Heat to keep his late game more in check. Shifter of Seasons: Decreased Physical Power Scaling on Summer Heat from 20% → 10%. Bramble Blast: Increased Cooldown from 13s → 15s. 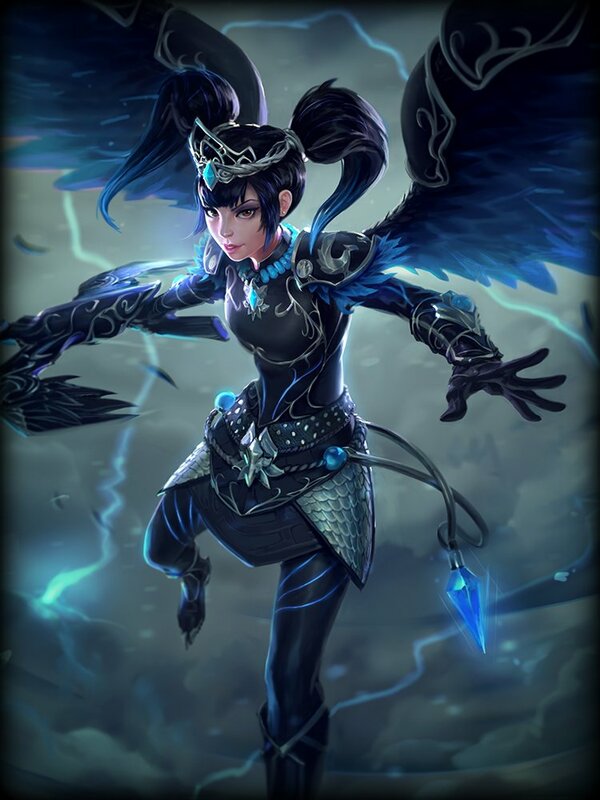 Chang’e has danced her way into Conquest during Season 4. Her ability to be flexible in her role and her strong constant damage output has been a large factor in her seeing very successful play. 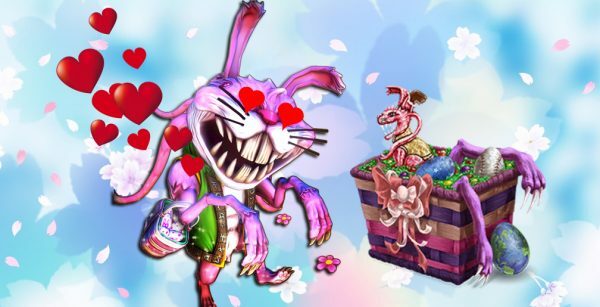 Moonlit Waltz and Moonflower Dance are seeing an increase in Cooldown to give enemy players a better chance at locking her down. Moonlit Waltz: Increased Cooldowns from 20/18/16/14/12 → 20/18.5/17/15.5/14. Moonflower Dance: Increased Cooldown from 10s → 12s. 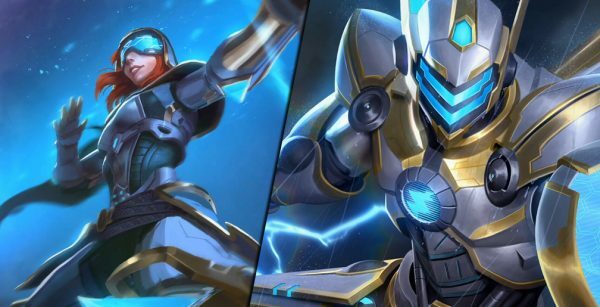 Erlang Shen had undergone many adjustments to balance the amount of control he brought to a fight with his damage output. 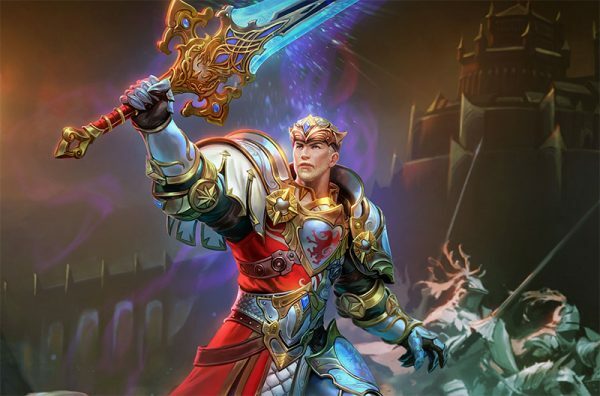 As things have settled, Erlang Shen has started to struggle. We are increasing his Base Stats to help him better compete as a Basic Attack-focused Warrior. Increased Base Power from 38 → 39. Increased Attack Speed per Level from .8 → 1. 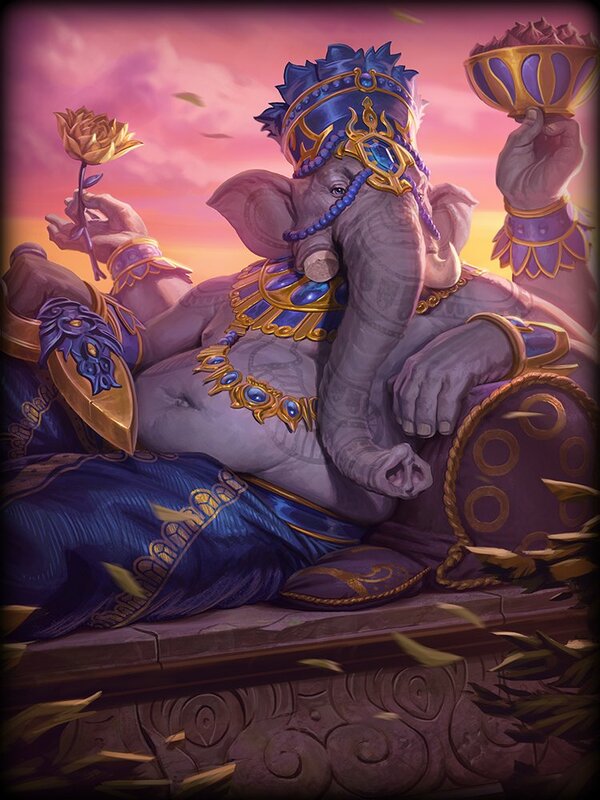 Dharmic Pillars: Fixed Ganesha’s Ultimate not highlighting enemies near the corners of the Ultimate’s Collision. Guan Yu has struggled a bit this season. While he has good utility options and damage potential, it can be difficult to have consistent pressure. We are bringing up his Damage on Warrior’s Will, while also allowing Taolu Assault’s Protection Steal to last for a longer duration. This will help Guan Yu contribute more to a team while also giving him protections for a longer period of time, helping him stay in the thick of a fight. Warrior’s Will: Increased Physical Power Scaling from 50% → 60%. Taolu Assault: Increased Duration of Protection Steal from 3s → 3/3.5/4/4.5/5s. Hades has been sending many players to the underworld since his buffs and fixes in 4.6. Since then, he has rocketed towards being the top pick in casuals and making a strong standing at the highest levels of play. His new identity as a close range burst Mage is one we want to keep moving forward, and as such he is not receiving any damage nerfs. Instead, we are focusing on his ability to engage and disengage fights, while slightly increasing the utility he can bring to a team. Death from Below will be on a longer Cooldown and will need to be used more carefully, while Devour Souls is seeing a Magical Power scaling decrease, lowering the amount of Healing he has at later stages of the game. Shroud of Darkness is seeing a slight Cooldown reduction to give him more utility and potential answers when he cannot escape or engage with Death from Below. Death from Below: Increased Cooldown from 12s → 14s. Shroud of Darkness: Decreased Cooldown from 15/14/13/12/11s → 14/13/12/11/10s. Devour Souls: Decreased Magical Power Scaling on the Detonate Heal from 15% → 10%. In recent patches, we have been making adjustments to warriors to increase diversity in the Solo lane and shore up any weaker picks. Gungnir’s Might was a clear candidate for some love. While not as devastating as his “Bird Bomb” combo, Odin will now have some more utility and damage to be less of a one trick pony. Increased Base Damage from 35/50/65/80/95 → 45/65/85/105/125. Gungnir’s Might second swing will now also Slow. Typhoon provides a lot of Damage and control to Susano’s kit. We are reducing the pull strength of Typhoon enough that players are able to escape the pull. Players now have a chance to disperse and split up before a fully charged Typhoon is ready to be released. Reduced Typhoon’s Vortex strength from 115 → 88. Reduced the strength Movement Speed Penalty of targets affected by Typhoon from 40% → 10%. Both these changes allow players to have faster Movement and help them escape quicker from the pull of Typhoon. 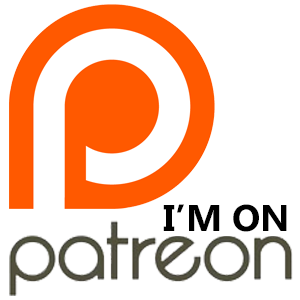 Don’t forget to visit my Patreon!